Welcome To America - English, learn it... you will need it. 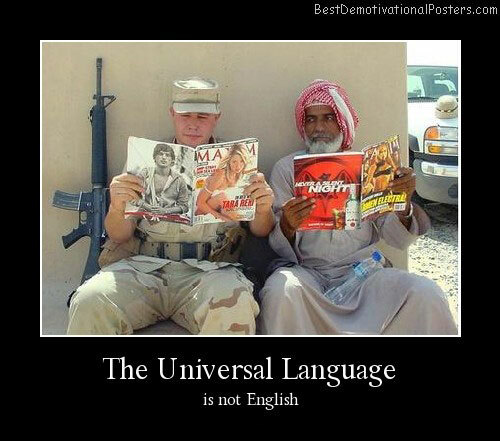 The Universal Language - Is not English. English - They spik it, do you?